Dealing with grief and loss is something everybody has to do at some point in their lives. Grief is a natural response to the loss of someone or something very dear to us. 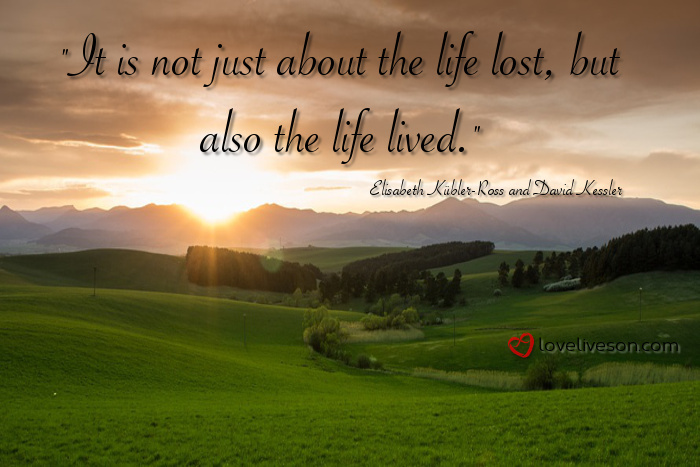 Losses that may lead to grief include the death of a loved one or a beloved pet, loss of a marriage or job, or other major life changes like becoming an “empty nester” or retirement. You might have heard that healing from grief happens in ‘stages’. In this post, you will find an explanation of how the stages of grief work and the best summary of each of the 5 stages of grief—denial, anger, bargaining, depression, and acceptance. A helpful infographic summarizing the key takeaway about each of the 5 stages of grief and coping with grief and loss. Case studies that highlight the typical emotions and behaviours that you can expect within the stage—as well as practical tips to help you cope—will accompany each summary. You will also find a useful list of the common emotional symptoms and physical symptoms of grief. We also discuss how long grief lasts—according to scientific researchers. This is followed by Q&A sessions with 4 grief experts—Ashley Davis Bush, Beverly Molander, Edy Nathan, and Ligia Houben. You will find these video interviews helpful in better understanding the 5 stages of grief. Who Came Up With the 5 Stages of Grief? The concept that there are “stages of grief” was developed by Elisabeth Kübler-Ross and has been adopted by many health-care professionals worldwide. Kübler-Ross was a Swiss-American psychiatrist whose work with terminally ill patients led her to become a pioneer in near-death studies. In her book published in 1969—On Death and Dying—she argued that terminally ill patients go through 5 stages of grief when faced with their imminent death—denial, anger, bargaining, depression, and acceptance. In a subsequent book—On Grief and Grieving—published in 2005 with co-author David Kessler, Kübler-Ross took her original concept of the five stages of grief and applied it to those who have lost a loved one. On Grief and Grieving was written by Kübler-Ross and Kessler while Kübler-Ross was on her death-bed. The writing duo had the unique—but regrettable—position of viewing grief both from the viewpoint of the terminally ill and the survivor of loss. Our grief is as individual as our lives. Each person is unique in how he or she copes with feelings of grief because each person has unique DNA and a unique personal history (including their relationship with the deceased). According to the Hospice Foundation of America, it is helpful to think of the 5 stages of grief as: “a roller coaster, full of ups and downs, highs and lows. “Like many roller coasters, the ride tends to be rougher in the beginning, the lows may be deeper and longer. “The difficult periods should become less intense and shorter as time goes by, but it takes time to work through a loss. The first reaction to learning about the terminal illness, loss, or death of a cherished loved one is to deny the reality of the situation. “This isn’t happening, this can’t be happening,” people often think. It is a normal reaction to rationalize overwhelming emotions. It is a defense mechanism that buffers the immediate shock of the loss. We block out the words and hide from the facts. This is a temporary response that carries us through the first wave of pain. On pgs. 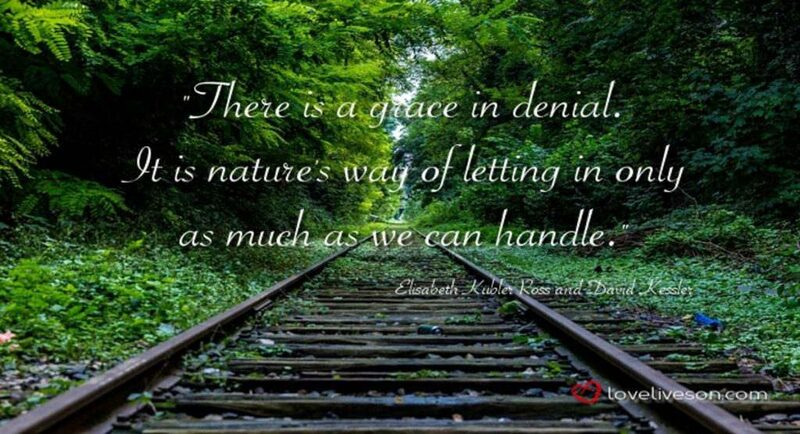 8 to 11 of On Grief and Grieving, Kübler-Ross and Kessler explain that being “in denial” doesn’t mean that you aren’t aware of the reality of the situation. It means that your psyche shuts down because you simply cannot fathom the enormity of the loss and aren’t ready to deal with it. So when people say comments like, “I can’t believe he’s dead,” it does not mean that they literally don’t know that their loved one has died. It means that they are still paralyzed with shock and that the reality is too much for their psyche to handle. On Grief and Grieving, pgs. 10 & 11: “Denial and shock help us to cope and make survival possible. 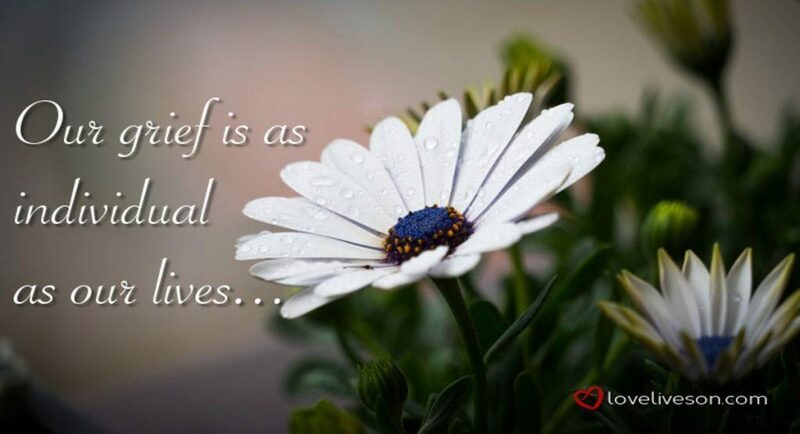 Denial helps us to pace our feelings of grief. “As you accept the reality of the loss and start to ask yourself questions, you are unknowingly beginning the healing process. Kübler-Ross and Kessler use the story of Alicia to illustrate how denial works. Alicia’s husband, Matthew, often travelled overseas for work and it was not unusual for her to not hear from him for a couple of days if the country he was visiting had a poor communications network. During a trip, Alicia received a phone call from one of Matthew’s coworkers. He told her that Matthew had been killed in a car accident. Alicia couldn’t believe what she had heard. In fact, she initially thought she must have dreamt the conversation or that it was a case of mistaken identity. When she finally saw her dear husband’s face and his wedding ring, she knew there could be no doubt it was Matthew. Kübler-Ross and Kessler comment on pg. 9 that: “It would be easy to say that [Alicia] was in denial because she kept thinking Matthew’s death was not real. “It would be equally easy to say that she was not in denial because she kept going through with funeral arrangements. “She couldn’t believe it and her mind could not fully process it. Denial helped her to unconsciously manage her feelings. Andrew’s wife, Betty, was killed in a hit-and-run accident at a pedestrian crosswalk. When the police arrived at Andrew’s home to tell him the news, he couldn’t believe that it was Betty that had been killed. “There surely is some mistake,” he repeated over and over. When Andrew saw his wife’s body for the first time after the accident, there was no longer any question that it was Betty. He wanted to know all the details the police knew about the accident: which crosswalk; who were the witnesses; what type of car hit her? Months after the funeral had taken place, Andrew would find himself reaching for Betty during the night while he was in bed, and would then wake up startled. He would sometimes “forget” that she had died and expect her to be home when he walked through the front door. The realization that she was no longer there would hit him hard. Andrew would also tell the story of the hit-and-run accident to anyone who would listen. Kübler-Ross and Kessler comment on pgs. 10 & 11 that: “People often find themselves telling the story of their loss over and over, which is one way that our mind deals with trauma. “It is a way of denying the pain while trying to accept the reality of the loss. As denial fades, it is slowly replace with the reality of the loss. “You begin to question the how and why. How did this happen? you may ask, as you review the circumstances. “You are no longer in an external story-telling mode; now you turn inward as you begin to search for understanding. “You explore the circumstances surrounding the loss. Did it have to happen? Did it have to happen that way? Could anything have prevented it? Understand that denial is normal, especially when a loss is recent. It serves an important, protective function and is your mind’s way of protecting you from more pain. Understand that it is normal to not “fully get” that a loved one is gone. Your mind is not yet able to comprehend a life without that person. 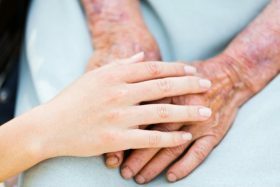 Be open to seeing reminders about your loved one, even if the experience is painful, as it will help you move through the denial stage of grief. As examples: view your loved one’s body; visit the grave site; reread old letters; smell a favorite cologne; look at photographs; go to church; listen to songs; gather meaningful sayings and phrases; visit special places; or wrap yourself in your loved one’s clothing. Don’t pretend that things are all right when they are not. Be honest with yourself and others. Cry freely and let others see your tears. Distractions may keep you occupied, but don’t help you move toward resolution. Understand that there is no specific time frame for denial to be dissolved. However, your long-term goal is to accept the reality that your loved one has passed away. Seek professional help if you are unable to move past the denial stage of grief. You will need professional support if you are unable to function in your everyday life. This stage of grief is where we search for blame, feel intense guilt, and lash out. 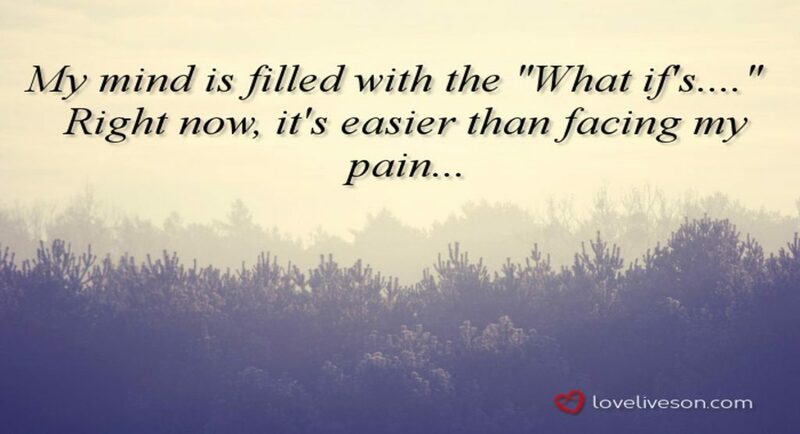 As the numbing effects of the denial stage of grief begins to wear off, the pain of loss starts to firmly take hold. But you may still not be ready to deal with the reality of the situation, so you express your intense pain as anger. Your anger may be directed at your dying or deceased loved one. For example, you may be mad at him for dying, even though you may intellectually know that he didn’t want to die. We feel guilty for being angry with our loved one, which in turn makes us feel even angrier. Your anger may also be aimed at complete strangers, friends or family, the doctor who diagnosed the illness and was unable to cure the disease, and even inanimate objects. You may also be angry with God for taking your loved one from you and for not sparing your loved one and you from suffering. It is not uncommon for grieving people to go through a spiritual crisis. Finally, you may be angry with yourself and struggle with guilt for not being able to save your loved one, or for the relationship that you had with him while he was alive. There is no limit to the depth of your anger or to whom or what it may be directed. “It is important to remember that the anger surfaces once you are feeling safe enough to know you will probably survive whatever comes. “At first, the fact that you lived through the loss is surprising to you. “Then more feelings hit, and anger is usually at the front of the line as feelings of sadness, panic, hurt, and loneliness also appear, stronger than ever. “Loved ones and friends are often taken aback by these feelings, because they surface just as you were beginning to function at a basic level again. “Anger is a necessary stage of the healing process. Be willing to feel your anger, even though it may seem endless. Kübler-Ross and Kessler use the story of Heather to illustrate the anger stage of grief. When Heather’s teenage daughter died at the age of 16 after a long illness, Heather was furious with God for not curing her and for allowing her to die so young. Heather’s family had strong ties to their local church, with church members providing strong support during her daughter’s illness. However, after Heather’s daughter died, Heather no longer wanted anything to do with God. This caution made Heather even more enraged. She was enraged when a church friend suggested that they pray for forgiveness for Heather’s anger. She subsequently left church and didn’t speak to her church friends for many years. Kübler-Ross and Kessler state on pg. 14 of On Grief and Grieving: “If we ask people to move through their anger too fast, we only alienate them. “Whenever we ask people to be different than they are, or to feel something different, we are not accepting them as they are or where they are. “Nobody likes to be asked to change and not be accepted as they are. Bill was married to Angela for 40 years. When she died after a 5-month battle with cancer, the normally docile Bill was filled with rage. He was angry with their family physician for not diagnosing her illness sooner. Bill transferred to a new clinic soon after Angela’s funeral. He was furious with Angela’s sister for not visiting more often during her last few months of life and refused to speak to his sister-in-law for a few years after his wife’s death. He was also angry with himself for every cross word he had ever spoken to his wife during their long marriage. Bill’s friends, family and neighbours thought he had lost his mind when he dug up his wife’s garden—she had been an avid gardener—and paved it over with concrete. They tried to talk him out of doing so, saying that Angela would be “disappointed” with him for destroying something she loved. But their comments only made Bill angrier. “Why don’t they realize that the garden is a constant reminder that Angela is no longer here to tend to it?” he said to himself. Kübler-Ross and Kessler state on pg. 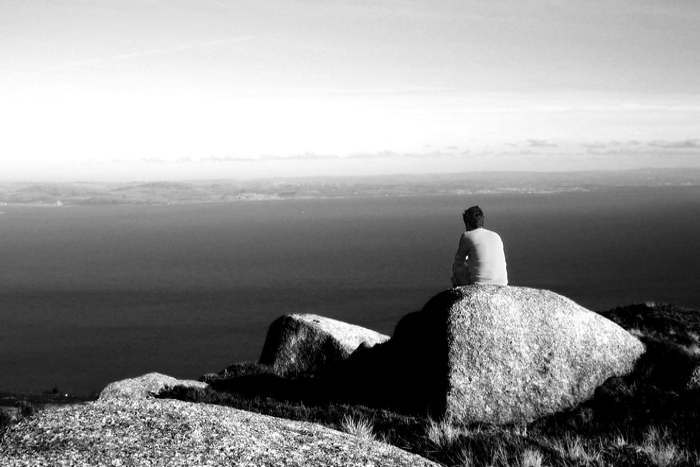 15 of On Grief and Grieving: “Underneath anger is pain, your pain. “It is natural to feel deserted and abandoned, but we live in a society that fears anger. “People often tell us our anger is misplaced, inappropriate, or disproportionate. “Some people may feel your anger is harsh or too much. It is their problem that they don’t know how to deal with it. “Unfortunately, for them, they too will know the anger of loss someday. Your job is to honour your anger by allowing yourself to be angry. Scream if you need to. Find a solitary place and let it out. You can even scream into a pillow if it helps you feel better. Don’t bottle your anger up inside. Instead, explore it in a way that is not harmful to you. Your anger is just another indication of the intensity of your love. Share the reasons why you are angry with family and friends. Don’t hide your true feelings for fear of being perceived as ‘negative’, ‘over-emotional’ or ‘crazy’. Try venting your frustration and anger with aerobic exercise like walking or swimming. You could also join a group sport like rugby or football. Join a support group. 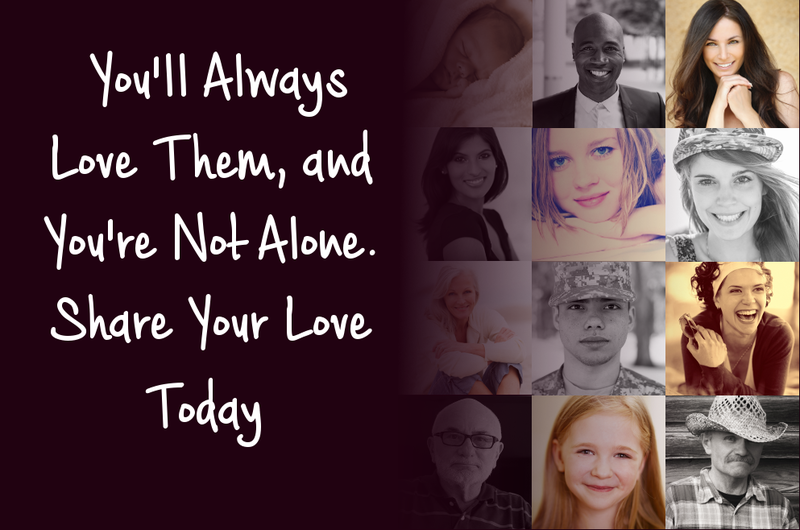 Grief can feel very lonely, even when you are surrounded by family and friends. Sharing your sorrow with others who have experienced similar losses can help. To find a bereavement support group in your area, contact local hospitals, hospices, funeral homes, and counselling centers. Talk to a trusted spiritual counsellor, a family physician, or a certified therapist about how angry you are. When we face a painful loss, we may try to make a secret deal with God or a higher power in an attempt to postpone the inevitable. Bargaining is the “What if….” stage of grief. The bargaining stage of grief serves an important purpose. It provides temporary escape from one’s pain and provides hope. This gives a person time to adjust to the reality of the situation. Attempting to bargain with God is often accompanied by feelings of guilt. In On Grief and Grieving, pg. 20, Kübler-Ross and Kessler state: “When we accept that they are going to die we may bargain that their death will be painless. “After a death, bargaining often moves from the past to the future. “We may bargain that we will see our loved ones again in heaven. “We may bargain and ask for a respite from illnesses in our family, or that no other tragedies visit our loved ones. Kübler-Ross and Kessler use the story of Howard to illustrate the bargaining stage of grief. When Howard turned 75 years old, he was determined to keep himself and his 66 year-old wife, Millie, in good health. Much to Millie’s chagrin, he insisted that they both start a daily walking program. One morning, Millie wanted to skip the walking and take the day off. But Howard insisted that they go. While out on their walk, Millie was hit by a car and rushed to hospital. While she was in surgery, Howard made all sorts of promises to God, if only he would spare Millie’s life. Tragically, the surgeon was unable to save her. His family would have to constantly remind him that he wasn’t responsible for the accident. Kübler-Ross and Kessler comment on pg. 19: “For Howard, bargaining was a key stage, since he was holding a piece of the alternate future in which his wife’s death never happened. “Bargaining can be an important reprieve from pain that occupies one’s grief. Understand that bargaining is normal and serves an important purpose. It provides temporary escape from one’s pain and provides hope. This gives a person time to adjust to the reality of the situation. Talk to family and friends about your bargaining hopes, or join a support group. They may be able to provide you with some perspective, as well as support you if your hopes are disappointed. Seek the help and support of a professional counsellor if you are struggling. Depression may occur when reality really sinks in. During this stage of grief, intense sadness, decreased sleep, reduced appetite, and loss of motivation are common. In On Grief and Grieving, pg. 20, Kübler-Ross and Kessler state: “After bargaining, our attention moves squarely into the present. “Empty feelings present themselves, and grief enters our lives on a deeper level, deeper than we ever imagined. “This depressive stage feels as though it will last forever. 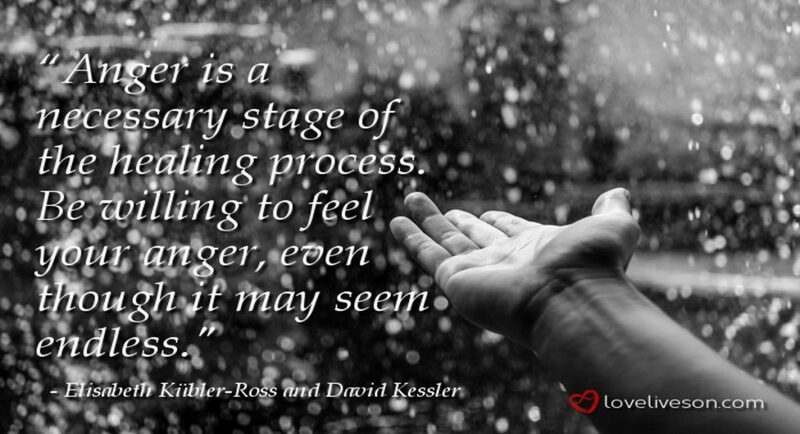 Kübler-Ross and Kessler say that depression is one of the many necessary steps in the healing process. “As tough as it is, depression can be dealt with in a paradoxical way. “See it as a visitor, perhaps an unwelcome one, but one who is visiting whether you like it or not. “Make a place for your guest. Invite your depression to pull up a chair with you in front of the fire, and sit with it, without looking for a way to escape. “Allow the sadness and emptiness to cleanse you and help you explore your loss in its entirety. 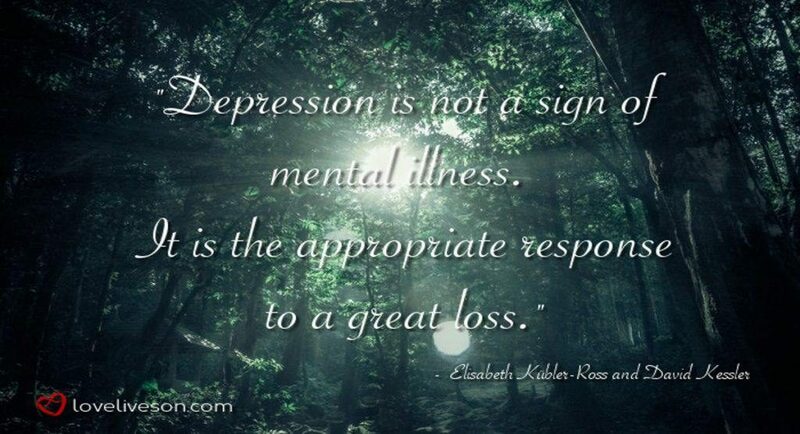 “When you allow yourself to experience depression, it will leave as soon as it has served its purpose in your loss. It should be noted that the type of depression that Kübler-Ross and Kessler are talking about does NOT have sustained functional impairment and is NOT accompanied by suicidal thoughts. If your depression is impacting your ability to cope with everyday life over a sustained period of time—or if you are experiencing suicidal thoughts—please consult your family physician or a mental health professional immediately. Kübler-Ross and Kessler use the story of Claudia to illustrate the depression stage of grief. Claudia first experienced depression when her grown daughter was dying. After her daughter’s death, the depression returned, though it felt different to the depression she had experienced before. Her depression now felt “endless”, whereas before it felt “contained”. Over time, Claudia’s depression eventually passed and she began to get out of the house more. She even went back to work part-time. Since she was functioning better and more engaged with family and friends, Claudia felt like the depression had passed. But then the depression suddenly returned. Nothing specific had happened to trigger it. “I thought I was done with it, but I guess it wasn’t done with me,” said Claudia. Marsha was always a happy person who loved life. But when husband Victor died unexpectedly after a heart attack, she was plunged into a depression that felt bottomless. She had a hard time getting out of bed in the mornings. Activities that previously gave her joy felt pointless. She lost 12 pounds. Concerned about how Marsha was coping, her sister convinced her to join a support group for people that had lost a spouse. Marsha found it helpful to talk to people that understood what she was going through. After a few months, she felt the fog of depression lifting. She found herself even looking forward to Christmas when her daughter and grandchildren would be visiting. But as she was getting ready for the holidays, her depression hit her again and hit hard. This would be her first Christmas without Victor. She reached out to her support group and discovered that her friends there were also struggling with the holidays. Marsha now feels that her depression has mostly passed, but knows that she can still suffer from bouts of it, especially around special holidays and anniversaries. Give yourself permission to “feel your feelings”. Don’t let anyone tell you how you should feel or that you should “get over it” or “move on”. Don’t try and suppress your grief. In order to heal, you have to acknowledge your pain. Avoiding your grief on a long-term basis can lead to complications such as clinical depression, anxiety, substance abuse, and other health problems. Express your feelings to others. This includes friends and family, church members, clergy, bereavement support groups, family physicians, or professional counsellors. Express your feelings in creative ways. As examples: write a letter to your loved one telling her how much you miss her; keep a journal detailing how you feel; draw or paint pictures; create a photo album or scrapbook celebrating your loved one’s life; create a playlist of music that captures the spirit of your loved one; volunteer your time to a cause that was important to your loved one; or create a special and unique post for Facebook to let your online community how much you love and miss that person. Avoid negative behaviour that can harm your health. For example: don’t try and numb your pain by abusing alcohol and prescription drugs. Set a small exercise goal each day. For example: “Today, I will get out of bed and walk around the block once.” According to Dr. John Ratey, the author of Spark, scientific studies show that aerobic exercise significantly alleviates the symptoms of depression. In Britain, doctors now use exercise as a first-line treatment for depression, but exercise is vastly under-utilized in the United States. Plan ahead for grief “triggers”. 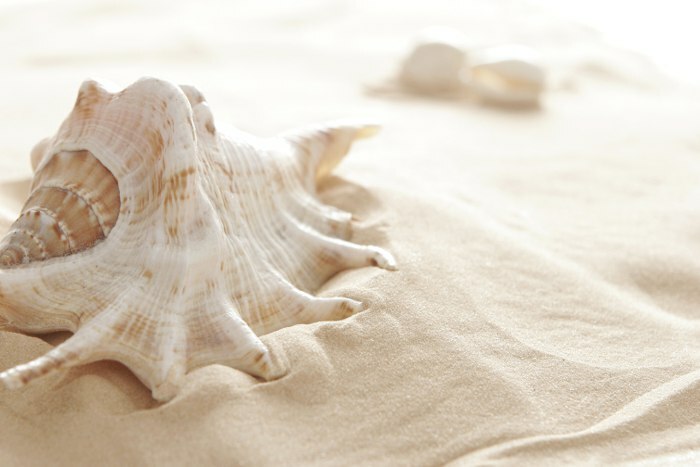 Holidays, anniversaries, birthdays, and other special dates and events reawaken memories and feelings. It is completely normal for you to revisit your grief during these times. If a significant date or event is approaching, anticipate that you will struggle emotionally. 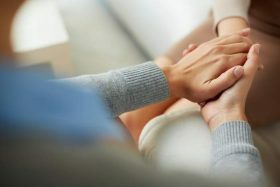 Ask your family and friends for support beforehand, and work with them to create strategies to help you cope during this time, as well as to help you honor the person you loved. See a medical doctor if the pain of your loss is so constant and severe that it keeps you from resuming your life, or if you have suicidal thoughts. Only a medical doctor is able to appropriately diagnose and treat grief and depression that is beyond what is considered “normal”—referred to as “complicated grief” and “clinical depression”. In this stage of grief, the bereaved person accepts the reality of their loss and the fact that nothing can change that reality. 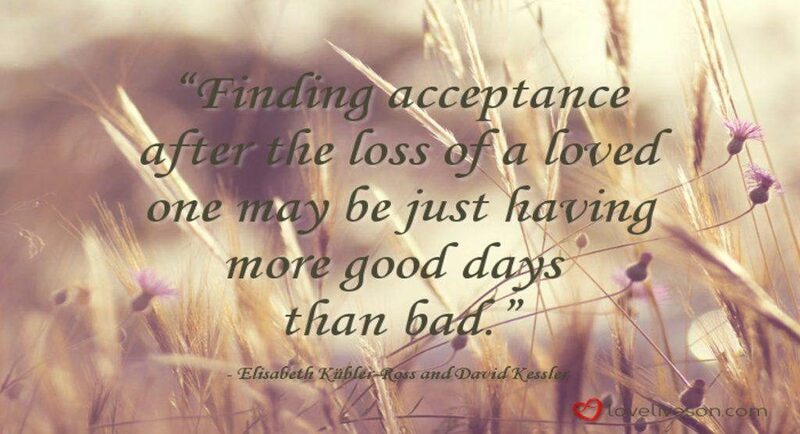 Acceptance does NOT mean that the person is “okay” with the loss. “Most people don’t ever feel okay or all right about the loss of a loved one,” states Kübler-Ross and Kessler on pg. 25 to 28 of On Grief and Grieving. “This stage is about accepting the reality that our loved one is physically gone and recognizing that this new reality is the permanent reality. “We will never like this reality or make it okay, but eventually we accept it. “We learn to live with it. It is the new norm with which we must learn to live. Kübler-Ross and Kessler use the story of Keith to illustrate the acceptance stage of grief. Keith’s son was randomly shot by a gang member while walking home from a sports arena. In the months that followed his son’s death, Keith and his wife were consumed with anger as they spent their days and nights investigating their son’s murder. A well-meaning friend tried to tell Keith that he needed to “move on” and “accept” his son’s death, which only further angered Keith. While Keith could acknowledge the reality of his loss, it was unrealistic for his friend to think that Keith should have found some peace with it so soon after his son’s death. After the killer was caught, Keith became consumed with the trial. After the trial was over and the killer was convicted, Keith had to contend with his grief and emptiness. There was no longer a trial to distract his attention. In the 5 years that followed, Keith found acceptance, or so he thought. He felt the acceptance drain out of him when he heard that his son’s killer was up for parole. By the time the parole hearing rolled around, Keith was once again filled with anger. He attended the parole hearing and was struck by how quickly it was over. He saw the tears of the killer’s father when parole was denied. For the first time since his son’s death, Keith realized that there were other victims of this crime. And for the first time, his anger was replaced by curiosity. Keith approached the killer’s father. He wanted to learn about the killer and what had led him to this place. Over the next few years, the two fathers formed an alliance to help gang members stop the violence. They visited many inner city schools to share their story. On Grief and Grieving, pgs. 27 & 28, Kübler-Ross and Kessler write: “Keith’s acceptance was a journey that was deeper than he ever expected. “And it happened over many year, not many months or days. Understand that acceptance is learning to live with your new norm where your loved one is no longer here. Understand that you will never be okay with the fact that your loved one died. Acceptance is a process that we experience, not a final stage with an end point. Be patient with yourself and don’t expect yourself to reach the acceptance stage of grief quickly. The process could take years. You could also ebb in and out of the acceptance stage. Keep a gratitude journal and write in it daily. Make a note of anything that gave you even the briefest moment of relief from your pain. As examples: a memory of your loved one that made you smile; a visit from a neighbour to see how you are doing; a beautiful sunrise or sunset. Keeping a gratitude journal will help you look for things in your day that are positive, no matter how small they may seem to others. As you read back through your gratitude journal, you may find yourself growing in your “gratitude attitude”. Remember, acceptance may simply be having more good days than bad. 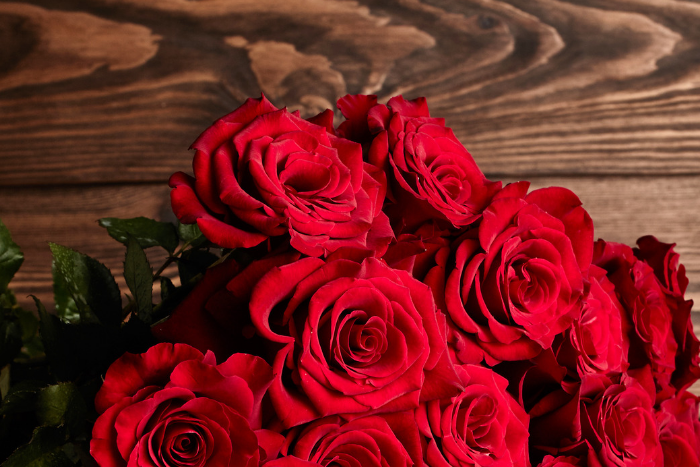 Find ways to commemorate the life, love and legacy of the person that you miss. If a year has passed since the day your loved one died, but you still feel “stuck” in your grief—your mourning still feels intense—see a professional therapist. That’s a lot of information to digest. To help you out, we’ve created an infographic summarizing the main takeaway for each of the 5 stages of grief. A common misconception is that grief is manifested with emotional symptoms only. However, our bodies react to our feelings and it’s common for grief to produce physical symptoms as well. Simple, everyday things may be a huge effort for you, like getting up in the morning, going to work or school, or even just talking to people. In 2007, researchers at Yale University, the Dana-Farber Cancer Institute, and other institutions, published the results of a study on the stages of grief. The study found that by approximately 6 months post-loss, the 4 earliest stages of grief—denial, anger, bargaining, or depression—had significantly declined. Based on the study results, the researchers recommend that individuals who continue to experience the 4 earliest stages of grief beyond the 6-month mark seek professional treatment. In a review of grief studies by Sidney Zisook and Katherine Shear, conducted in 2009 and published in a psychiatric journal, it was found that grief is different for every person and for different types of losses. Despite the fact that each person’s grief is unique, the evidence shows that acute and distressing symptoms of grief normally subside by the 6-month post-loss mark. After 6 months, if a person is still experiencing intense grief where the loss is the central focus of his life, or if he has avoided grieving, treatment for “complicated grief” is required. As for acceptance of the loss—the 5th stage of grief—Zisook and Shear found that: “for most people, grief is never fully complete. “During the transition from acute to integrated grief, usually beginning within the first few months of the death, the wounds begin to heal, and the bereaved person finds his or her way back to a fulfilling life. “The reality and meaning of the death are assimilated and the bereaved are able to engage once again in pleasurable and satisfying relationships and activities. “Even though the grief has been integrated, they do not forget the people they lost, relinquish their sadness nor do they stop missing their loved ones. “The loss becomes integrated into autobiographical memory and the thoughts and memories of the deceased are no longer preoccupying or disabling. “Unlike acute grief, integrated grief does not persistently preoccupy the mind or disrupt other activities. “However, there may be periods when the acute grief reawakens. If you are at risk for complicated grief, please see a professional therapist. We sat down with 4 grief experts—Ashley Davis Bush, Beverly Molander, Edy Nathan and Ligia Houben—to discuss the 5 stages of grief, ways to cope, and how long grief lasts. Our experts come from a variety of disciplines, so they approach grief and healing from different perspectives. We sat down with Ashley Davis Bush, a licensed psychotherapist who has over 25 years experience in grief counselling and trauma recovery.She is also an accomplished author with six books, including Transcending Loss, Understanding the Lifelong Impact of Grief and How to Make it Meaningful. Q: What are the “5 Musts for Deep Healing”? “I have been doing this work for 25 years and, in my experience, the first ‘must’ and most important thing that you must do is to just ‘feel your feelings,’ advises Davis Bush. “Although this sounds straightforward, it is easier said than done. “We live in a culture that doesn’t particularly like to feel pain, but in fact, you really have to feel your feelings in order to heal. “The second ‘must’ really ties together with the first one and that is to express your feelings. “It is important to find a way to get your feelings out. “This might be best done through journaling, through art, through teaching gardening classes, or through some other way that you find helpful to express that pain. “This can be done in a variety of different ways. “The basic premise of this is that love lives on and so does your relationship with your loved one, even though that person is no longer here physically. “The relationship with that person still exists, so finding ways to connect with them in this new relationship is important. “Having gratitude is the fourth ‘must’. “I know that feeling grateful might seem counter-intuitive when you are grieving. “But once you really look at the blessings in your life and the love that was there and all of the people that you have who are supporting you, feeling gratitude is hugely important to get you through. “Even though you still have a relationship with someone who is no longer here, you are also still very much in relationship with many other people who still are here. “And so re-engaging with the living is very important as well,” explains Davis Bush. Q: How Long Does Grief Last? “That is a complicated question to answer and in order to understand it, I try to explain to people the difference between acute grief and subtle grief,” says Davis Bush. “Acute grief can last anywhere from a few weeks to a few years. “That is when the pain is especially raw, especially intense, and especially painful. “Subtle grief is when there is an oscillation process where the raw, raw parts of grief are no longer in the foreground, but in the background. “So you have this oscillation process between extreme grief and background grief. “In a way, this process is life-long. “So to answer the question: ‘How long does grief last?’—the answer is: ‘As long as love lasts,’ which is basically as long as you’re alive. “The goal is to integrate love and loss into your life. “Grief will never end, but it will change, it will shift, it will become less intense. “And the grief bursts will spread out and won’t feel as raw all the time,” advises Davis Bush. Q: What Are Common Questions Asked by Grieving Patients? What is Your Advice? “The main question that I get a lot is: ‘Am I crazy?’ says Davis Bush. “Especially in the beginning of grieving, there is this feeling that you are going crazy. “You often become more forgetful, you lose track of things, and you can be highly emotional. “I like to call this ‘grief fog’—your brain gets really foggy. “Another question I get asked frequently is: ‘Am I depressed and do I need medication?’ adds Davis Bush. “Depression and grief mimic each other, but this does not necessarily mean that there is a need for medication. “I use medication as a last resort because we often try to medicate away our pain, but this is not going to heal you. “This goes back to what I said earlier about feeling your feelings. “Finally, I also am frequently asked: ‘When will I be my old self again?’ says Davis Bush. “The answer to this is that you won’t ever be your old self again. “You are growing into a new self. “Many people may not know what that new self is going to look like, but that’s okay. Q: What Techniques or Exercises Promote the Healing Process? “A lot of what I do focuses on normalizing the experience,” says Davis Bush. “I do a lot of pscyho-education—explaining the elements of grief and emphasizing that they are normal and change over time. “I also often get people to bring photos in and share their stories. “A lot of grief is replaying what happened and telling the story over and over. “This is not just the story of how the person died, (whether it was sudden and traumatic, or something that was more expected), but it is also telling the story of the love you had for that person. “Another exercise I really love to use is called automatic writing. 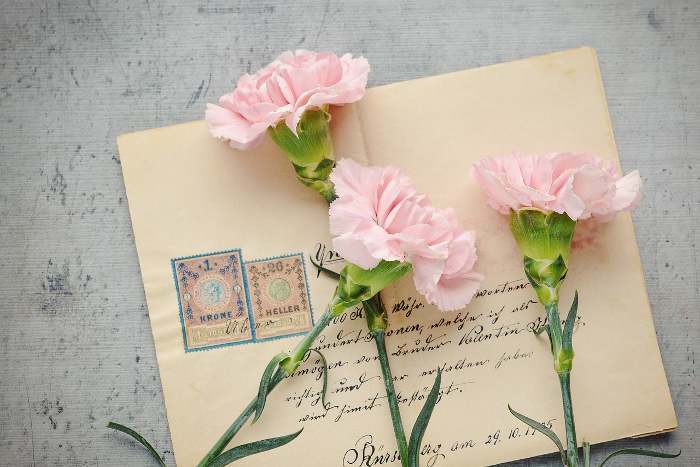 “This is when you write a letter to your loved one using your dominant hand. Then, you write a letter from your deceased loved one to you using your non-dominant hand. “It becomes a way to communicate with your loved one. “This is a little outside of the box, but I have seen hundreds of people do this exercise. Even the ones who were most skeptical feel something come through them and they are able to correspond with their loved one,” explains Davis Bush. Q: How Should We Support Someone Dealing with Grief? “Sometimes well-meaning friends and family say things like ‘time heals all wounds,’ or, “I know what you are going through,’” says interview host Courtney Murdock. Davis Bush responses: “I try to remind people who are grieving and get upset about these kinds of things that people are not doing this to be malicious. “They just don’t know what else to say, so they come up with platitudes or say things like, ‘God needed another angel in heaven,’ or, ‘God doesn’t give you more than you can bear,’ or try to soothe in some way. “But mostly these kinds of things are not soothing. “My advice would be that ‘less is more’. “If you don’t know what to say, say that you don’t know what to say. “Give someone a hug. A lot of times, words are not what is needed. “Touch their arm and say that you are so sorry for their loss. “Don’t try to offer any explanations. “Ask someone about their experience through grief and just listen. Invite them to share their experience. “If they don’t want to, that is fine too. “Simply give them the opportunity to express their grief to you. “I also always advise people to show up with a plan. Bring cookies, or a candle, or a book, or some other thoughtful gift, as opposed to telling them to call you if they need you. “This puts pressure on the grieving person to reach out to you,” Davis Bush explains. “Be the one that calls and checks in once a month, and be the one that calls six months after the loss. “A lot of people offer their support right after the death, but grief is a long process. Q: How Does Grief and Loss Help Us Grow? “You are known for your belief that all of life is miraculous, and that all of life’s experiences have the potential to help us live more meaningfully,” says Murdock. “When something tragic happens, or we experience a loss that takes our breath away, it is very easy to lose track of that thought that all life is miraculous. It causes us to lose heart,” explains Davis Bush. “So I really want to emphasize that grieving is really, really hard work. “But, the heart is resilient and the human spirit is resilient. “We have so many years of human history where people move forward with life after a loss,” says Davis Bush. “We don’t move on, but we do move forward with our loved one’s presence and love still in our hearts. “I believe that grief can lead to post-traumatic growth where you can use this difficult time as a springboard forward for positive growth. “But, this takes a certain amount of intention and having that intention really takes time. “You have to do the hard grief work first before you can be ready to be open to what life lessons this loss has taught you. “This is why you see a lot of people take their loss and use it to start non-profits, charities and fundraisers. “MADD, [Mothers Against Drink Driving], for example, was started by a bereaved mother. “In my book Transcending Loss, I use an acronym called ‘SOAR’ to explain this kind of [post-traumatic] growth. “The S stands for Spirituality. “The O stands for Outreach. “The A stands for Attitude. “The R stands for Reinvestment. “SOAR is the idea that a griever has the opportunity to change in these ways. “You can have your spirituality get deeper and stronger. “To change and start reaching out to other people who may be suffering. “To change our attitude about what life and death mean and what really matters. “And to change in terms of how you reinvest in this world and put your time into things that have meaning. “It is all about intention and being willing to see the opportunities and to learn and grow from your experience. “Again, this kind of intentionality comes with time and from doing the grief work first. Q: What if Somebody Feels Very ‘Stuck’ After Suffering a Loss? How Do They Get ‘Unstuck’? “It’s easy to get stuck in grief,” says Davis Bush. “There is no simple answer to this. “For some people, getting ‘unstuck’ means that they need to touch their pain and really feel it, instead of keeping it at an arm’s length. “For others, it might mean that they have touched their pain so much that they have gotten stuck in their pain and can’t get out of it. “For these people, I would recommend talking with a councillor, talking with a friend, joining a grief group to hear what other people are doing to grieve, or look to online grief groups for support. “Getting ‘unstuck’ isn’t something that will just happen naturally. You have to put some effort into it. “It requires intention and attention, it doesn’t just happen on its own,” advises Davis Bush. Q: What is the Main Message of Your Book, “Transcending Loss”? “The message of Transcending Loss is that love lasts forever,” says Davis Bush. “The relationship with your loved one lasts forever and continues even after they have died. “There is no closure with loss. If you close the pain, you might also close the love. “Love is eternal and love is transcendent. “Transcendence is about gaining a new perspective about grief. This happens over time. “Changing your perspective to seeing grief as a puzzle piece in your life and knowing that it isn’t the entire puzzle. “It is about taking that puzzle piece and giving it a bigger context so that you can have a greater perspective on life. “This allows you to take that love that you had for your loved one with you through the rest of your life,” explains Davis Bush. We sat down with Beverly Molander to discuss coping with grief and the best ways to support a friend or family member who is grieving. She is the co-author of Heartfelt Memorial Services: Your Guide for Planning Meaningful Funerals, Celebrations of Life and Times of Remembrance. “Grief lasts as long as you need it to, and sometimes as long as you want it to,” says Molander. “This question makes me think of my mother. “While the underlying feeling of not being able to move forward with my grief after my mother’s passing has subsided, I still get moments where I want to tell her something or ask for her advice. “This is a way of grieving. However, a lot of life goes on in between those grieving spurts along the way. “Grieving is a very good thing and it is something that needs to happen. “You can either keep it bottled up now and release it later in life, but grief needs to happen in order to heal. “You have a choice to get stuck in your grief or you can choose to move forward. “To honour a loved one who has died is to live the best life you can even though that person cannot,” states Molander. Q: How Should We Talk to Someone Dealing with Grief? “Our viewers have expressed feelings of frustration when well-meaning friends and family say things like, “Time heals all wounds”, or, “I know what you are going through,” says interview host Courtney Murdock. “What kinds of things should we say, and not say, when we are trying to support someone who is dealing with grief?” asks Murdock. “We suggest to say nothing if you don’t know what to say when someone is grieving, rather than spout something that can never be taken back,” says Molander. “We advise you not to philosophize, preach, admonish, give advice, and pretend everything will be all right or show pity. “With so many things not to say, it is easy for people to be at a loss when it comes to finding the right thing to say. “It can be an awkward situation when someone you love is grieving. “You want to extend yourself to that person and let them know you are there for them. “Some things that you can say to someone who is grieving, or someone who is dying for that matter, are to share happy memories about the person and the ways that the person impacted your life. “Things like thanking them for the influence they had on your life, talking about how they inspired you, or talking about the important life lessons that they taught you. “Positive things like these can be more meaningful than trying to relate to the grief they are experiencing,” explains Molander. Q: How Can You Move Past Being ‘Stuck’ in a Place of Grief? “What if somebody feels very ‘stuck’ after suffering a loss? How do they get ‘unstuck’?” asks Murdock. “I went through a time of grief a while back where I was stuck,” reveals Molander. “I wasn’t calling people, they weren’t calling me. I didn’t know what to do or say, I was just stuck. “Sometimes I think we need to go into dormancy. “We need to stop, to feel flat, to not put pressure on ourselves to know what’s coming next. Just let yourself have that time to grieve. “Just like the seeds that are under the ground in the Earth, they are not dead or fading away, they are replenishing themselves and getting ready to sprout again. “So if you are in a ‘stuck’ position, make sure to let yourself know that this does not need to be forever. “I suggest trying to do one thing every day to help get ‘unstuck’, whether it is to hang a picture of your loved one, or go for a walk in the woods and pick some flowers in their memory. “Anything that you can do each day to help break out of that dormancy and move forward while you keep expressing your grief,” advises Molander. Q: Does Creating Meaningful Funeral Services Have a Therapeutic Benefit? 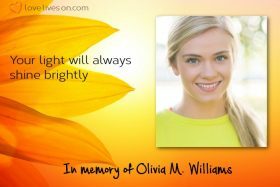 “You are a well-known advocate for the importance of planning a meaningful funeral or memorial service for a loved one. In fact, you co-wrote a guidebook on the subject,” says Murdock. “Do you think that creating meaningful ceremonies has a therapeutic benefit?” asks Murdock. “And not only creating them, but the act of planning for them as well can be therapeutic. “More and more people are pre-planning funeral and memorial services. “A huge benefit of this is when we recognize that someone is moving into the path where their life is coming to an end, we can start thinking about how we want to celebrate and honour that person’s time on Earth. “So when we can plan ahead and think of those things and tie together something that honours that person, it can be incredibly therapeutic knowing that you did the very best that you could to honour and celebrate the life of your loved one,” explains Molander. Q: What is Your Best Advice for the Bereaved? “What is your best advice for viewers who are currently struggling with the loss of a loved one?” asks Murdock. “It is not the same for every person,” states Molander. “But, if you are going through any life struggle, keep your feelings that you are feeling close to your heart and share them with people that you love and trust rather than representing ourselves to the whole world as a griever. “This is not fake. You know exactly what you are doing, but it is a form of self-protection. The cashier at the grocery store does not need to know about your grief. “A friend gave some advice to someone who had experienced a very traumatic loss and could not stop crying and it was affecting her day-to-day responsibilities. “The real world doesn’t stop when you are grieving. “You may have work deadlines, or you have to go to your kindergartener’s play and you need to put on your ‘game face’. “His advice to her was to put your body where your mind in. “Putting your body where your mind is in miniscule ways like this can help you get through those day-to-day activities and then when you are in a space where you feel comfortable grieving, you can let yourself feel those emotions. “This just helps you compartmentalize grief and get through those especially difficult times,” advises Molander. We sat down with Edy Nathan to discuss the healing process after grief and loss. She is a psychotherapist with over 20 years of experience, and specializes in unifying psychotherapy with spirituality. Q: What Does it Mean to “Find Grace in Your Grief”? “So often when anyone is grieving, they struggle,” says Nathan. “There is nothing about grief that is graceful, nothing feels good, and of course that makes a lot of sense. 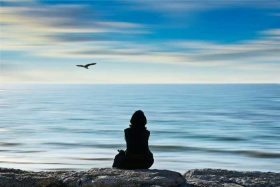 “However, my hope is that I can bring people into a state of being calm and balanced within their grieving and mourning cycle. “That is what I really want to impart to people is that they can get there, they can do that, and that is a state of grace. “It is about having an internal equilibrium that feels calm and centred, and not all over the place. “I don’t want people who are grieving to suffer from things like not being able to focus, or feeling like they can’t get out of bed, or feeling like they can’t stay awake, or filled with ruminations of regret or remorse. “What grace is really about is learning to live with your grief in a way that it enables you to live your life. “You will never forget the person that you are grieving. “That doesn’t go away, but it is about learning to remember gracefully,” explains Nathan. Q: What are the 7 Different Ways of Responding to Trauma and Loss? “There are many different ways of responding to trauma and loss,” states Nathan. “I look at the cycle of trauma and loss as 11 phases. Within those 11 phases, 7 of them are core. “The first phase is numbness, and under the umbrella of numbness there is also shock and denial. “These are your protectors and this is your home base. “When feelings of grief start to creep up, one of these three things will be present. “You might go numb. You might feel like you’re in shock. Or you might go into a state of denial. “This phase is one of the constants in how people respond to trauma and loss. “Another way that people tend to respond is through anger, guilt and feelings of role confusion. “So often when you are dealing with trauma and you’re just remembering it, something has triggered you. “You might not know what triggered you and why your body is responding the way that it is. “It could have been a smell. “Our sense of smell is our strongest sense and a certain smell can take you right back to a particular memory, to an incident that happened, to our grieving, to a loss that is yet to be resolved. “Consciously, you might not be aware of this, but unconsciously, your body starts to talk. “Another response people might have is going through a process of forgiveness. “You can go through a sense of ‘I can’t keep holding onto what I did,’ or, ‘I can’t keep holding onto how this person hurt me,’ so you can forgive them and you can forgive yourself and let go of those feelings. “It’s about holding the spirit in such a way that you are caring for your soul. “When we experience trauma, we often self-blame. Therefore, going through a process of forgiving yourself can be very therapeutic and important. “Another way that people might respond to trauma and loss is slipping into what I call the ‘no-go territory’. “When you start thinking in this way, you end up stopping your life, and that really is not the best protocol to deal with grief. “To stop does not mean that you’re healing. It is a false sense of healing. Your world gets smaller and smaller, and you really don’t want this to happen. “Another response is totally based on the kind of person that you are—an introvert or an extravert. “Introverts tend to go inside to heal themselves, while extraverts go outside and share their experience with others. “Neither is wrong or right. It is just that different people respond in different ways. “In cases of grieving, an introvert might need to try to open themselves up a little bit and talk with others a little bit more, try a grief support group, talking with family or friends. “The extravert, on the other hand, might need to try internalizing things a bit more and self-soothe,” states Nathan. Q: Does Grief Have Stages or Phases? “Elizabeth Kubler-Ross was the first woman who really got us talking about death and dying, and she wrote about the 5 stages of the dying,” explains Nathan. “However, a lot of people have carried over her work on this and applied it to people who are grieving. “Although people who are grieving might go through these stages as well, I see stages as being finite. “You start with stage 1—and there is a beginning, middle and an end to each stage— and then you move into stage 2. This pattern then continues through the 5 stages. “However, phases are very different. “They move in and out of one another. [Phases] are very fluid and flexible. “In these phases, the initial phase of numbness, shock and denial is your home base and it will be revisited again and again throughout the grieving process. “You always go back there. “All of the other phases, you really move in and out of. “You might go into role confusion, or anger, and flow in and out of those. “And there is no right phase to progress into. Each one informs the other and you can flow in and out of each,” advises Nathan. Q: What Strategies Would You Recommend During Grieving? “Oftentimes, the people surround the grieving person, (or the ‘support people’), really want to help and think that their way of helping is the ‘right way’ to help that person,” explains Nathan. “But this is not always the case. “There is nothing like an active state of grief to teach you how to have a voice. “I believe that there are gifts in one’s grief, and I think that one of those gifts is discovering your voice. “To be able to say to someone, ‘This is not helping me,’ and to tell them what would be helpful and what you need. “Saying, ‘I need a phone call at 8 o’clock in the morning to get me out of bed more than a dinner at night’. “To be able to tell people what you need, or to give yourself the ability to rule out what is working for you and what isn’t. “Once you can access that, you are on your way to having a relationship with your grief where your grief is not an enemy, but rather informs you about your needs,” says Nathan. Q: What Advice Do You Have for Dealing with Grief During Special Holidays? “That is the most important piece of advice that I can give. “Take out your calendar and mark the dates that you know are going to be particularly important and difficult. “Mark birthdays, holidays, anniversaries, [on a calendar] and plan for them. “The first year without your loved one will be a year of many firsts. “Your first Christmas without them, your first birthday and their first birthday, the anniversary of their passing, all of these days are going to be big firsts for you. “Put a reminder in your phone for a week before, and two weeks before so when you see it you think ‘I’m going to plan’. “Then you start thinking of things like, ‘I want to be alone,’ or, ‘I want to take a trip,’ or, ‘I want to be with family that day,’ or, ‘I want to go to that special restaurant we used to go to’. “By planning ahead, you are making sure that there is self-care during these hard times. “You are assessing your needs and what will best get you through those difficult days. “A lot of time when people don’t plan ahead, that self-care really goes down the drain as you just get sucked into the depression, the sadness, that sense of not belonging and the absence of that person. “When you take the time to plan ahead, this tends not to happen. “I also advise people to not only do this calendar for the first year, but for the second year, third year and fourth year, so that it just becomes a part of the ritual that you do in preparation for those days,” explains Nathan. We sat down with Ligia Houben to talk about grieving and healing after the loss of a loved one. She is passionate about helping grieving families, and is a certified grief counsellor, life transitions coach, and a Fellow of the American Academy of Grief Counselling. Q: Can Grief Be Delayed? “A lot of times when we experience loss, our gut reaction can often be to go into denial and push our feelings and emotions aside,” says interview host Courtney Murdock.“Do you think that grief is something that can be delayed?” asks Murdock. “Yes, it can be delayed,” advises Houben. “When we experience a loss, grief is the natural and unique response to that loss. “At times, where the pain is so intense and so hard, we often turn to defense mechanisms to help us cope, and denial can be one of those mechanisms that we use to cope with grief in the beginning. “Other times, grief gets delayed when we have to take care of other things. “For example, if someone has lost a child to homicide, that pain is already particularly hard, but the parents also have to deal with the case going through the court system. “When people are faced with these other kinds of responsibilities that demand a lot of their focus and attention, they are not letting themselves acknowledge their grief. “And so in these cases, grief can also be delayed. “So there are our own reactions to loss that cause us to delay grief. “But there are also different circumstances, like the previous example, that can push us to delay our grief,” states Houben. Q: Why is it Important to Consciously Acknowledge Our Grief? “It is very important to accept the loss and acknowledge that it happened,” says Houben. “Only once you accept and acknowledge your grief can begin to live your grief. “After you accept your loss, you are not in denial, and, therefore, you can start to process your grief. “If you do not process your grief, it stays inside of you. “Grief doesn’t just disappear. It may become repressed, but it will resurface at some point. “What we ignore does not cease to exist, and something might trigger that grief and it comes out even stronger because those feelings have been left bottled up and unresolved,” explains Houben. Q: How is Grief Experienced? “You speak about grief being experienced in many different ways, not just at the emotional level. Can you tell us what you mean by this?” asks Murdock. “When we talk about someone grieving, people tend to focus on the emotional responses only,” responds Houben. “They often picture someone crying, depressed, or angry. “However, people have multiple, different dimensions and I like to take a holistic approach with my clients and work through those different dimensions. “People have the emotional level, which is the one that people tend to focus on when talking about grief, but we also have a physical level, a social level, and a spiritual level. “So a griever might not be crying or visibly depressed, but experiences sudden severe back pain, or they feel as though they are having a heart attack. “These feelings can be so severe that they end up in the [Emergency Room]. These are physical responses to grief. “Sometimes, when someone is grieving, they withdraw from society. They don’t want to see other people. “[On the other hand], they might not want to stay at home alone so they go out all the time. “These are social responses to grief. “And finally, we have the spiritual level, and this one is very near and dear to my heart. “Sometimes when someone is grieving, they lose faith, whether in God, or some other higher being, or they lose faith in themselves. “Sometimes grief causes people to become more religious than they were previously. “So by looking at grief at these different dimensional levels, you can really see how each person’s response to grief is completely unique from another person’s,” explains Houben. Q: What is Your Best Advice for Coping with Special Holidays and Anniversaries? “I always tell my clients that they need to prepared,” emphasizes Houben. “I focus on helping [them] to be prepared. “Grief is not linear. It is like a rollercoaster—some days you are up and feeling better, and then some days you are down and back in your grief. “Maybe the person heard a particular song on the radio, or a special holiday is coming. 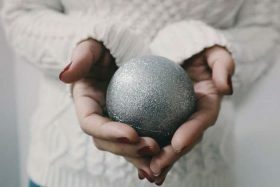 “It is important to help people understand that there will be changes in how they feel based on circumstance, such as upcoming holidays, and that they need to be prepared for that. “I always tell my clients to acknowledge their feelings on those days and use those feelings to create new rituals to incorporate your loss into celebrating these occasions. “I also tell my clients to share their feelings with friends and family members and explain why they might want to do things a little differently that year. “For example, cooking a special recipe that reminds you of your loved one. “I like to suggest a particular ritual for Thanksgiving where you create a beautiful box and leave it at the entrance of your house. “When your family members come in, ask them to write down something that made them feel grateful for having that special person in your life. “Then, after dinner, you can all sit around and read them out together and remember and celebrate that person,” suggests Houben. Q: Can You Get to a Place of Gratitude When You are Grieving? “It is possible,” affirms Houben. “I have gone through many losses myself. I lost my father at the age of 12, and since then I have had many other losses in my life. “I suffered some very serious injuries a couple of years ago when I was hit by a car crossing the street. “My leg had to be reconstructed entirely, so there were feelings of loss of health. “So I can tell you with all of my heart is that what got me through all of my losses in life was just to be grateful. “I was grateful that I had my dad in my life for those 12 years. “I was grateful for the fact that I was still alive after my accident and focused on that and the people that supported me through it. “So we are always capable of finding even the smallest thing to be grateful for when we experience loss. “This does not mean that we are not validating what happened to us. “Of course it is important, but it allows us to turn our heads just a bit and see the other things in our life that we do still have,” states Houben. Q: Should We Openly Talk About Death and Grief? “As a society, we struggle with openly talking about death and dying and grief and loss,” states Murdock. “How do you think encouraging conversations about these issues will help us on an individual level and on a societal level?” asks Murdock. “I teach about death and dying at the university level, and when I teach the course, we talk a lot about how we live in a death denial and a loss denial society. “Where did this come from? “When we were born? It didn’t. “It has come from a lack of education about death and dying in elementary schools, at home growing up, and in society in general. “We just do not talk about death and loss. Everything focuses on winning. “But we do go through losses. Everyone will experience loss in his or her life. “So if we can bring this kind of awareness, we can ensure that we are better prepared for those losses when they happen, and we will be better equipped with the coping skills to deal with those losses as well. “I will never forget when I was teaching a seminar, a mother brought in her two daughters. One was 17 [years old] and the other was 15 [years old]. “This mother told me that she had lost her father when she was 18 [years old] and [that she] didn’t know what to do, the pain was overwhelming. “She had never been taught what to do. “She then explained that she brought her daughters because, up until that point, they had never had to deal with a difficult life transition. She wanted them to be prepared for when they do. “That mother was proactive and it was beautiful. Loss is a part of life. “When people are not prepared to experience loss, they develop coping mechanisms that might not be the healthiest ways to deal with grief and loss. “And sometimes they do not respond, they react. “So having these conversations about death and dying and emphasizing that we will all experience loss in our lives brings us awareness, as well as important insights. “It helps us really realize that we will not have our loved ones forever, and so we should focus on appreciating the time we have with them. “This then allows us to be more loving, forgiving, more compassionate and to understand that our lives have an end, so that we can be living with more meaning and more purpose,” states Houben. Q: What is Your Best Advice for Finding a ‘New Normal’ After a Loss? “This can be a big challenge,” sympathizes Houben. “My best advice, which I have gathered from personal, as well as professional experience, is that when we experience loss, we learn how to live with the loss of our loved one. “We do not forget, we learn how to live with it. Love it eternal. “So when we can find a meaning in that loss, and we find ways to honour the life and legacy of our loved one, this is our ‘new normal’. “The ‘new normal’ is when we integrate that loss as part of our life story, and we can even grow out of this experience and become a better person,” advises Houben. Kübler-Ross and Kessler’s ground-breaking work on the 5 stages of grief changed the way that we think about bereavement. It also reassures us that there is no correct way or time to grieve, and encourages us to seek professional support if we get “stuck” in our grief. Kübler-Ross stressed that the concept of the five stages of grief should only be used as a tool to help us understand the emotions that we cycle through when we grieve. The 5 stages of grief don’t define us. In fact, on her death-bed, Kübler-Ross wrote: “I know that the purpose of my life is more than these stages. “I have been married, had kids, then grandkids, written books, and traveled. “I have loved and lost, and I am so much more than five stages. And so are you. “It is not just about knowing the stages. If you found this post on the 5 stages of grief helpful, we would appreciate a Facebook Like. Please feel free to add your comments on his post below—we’re always listening. You can also follow our Pinterest board for more on the 5 Stages of Grief.